He’s Not a Baby Anymore! How time flies! My son will be entering big school this June, and he’ll be turning six years old this July. Pretty soon, he’ll ask for his own room and his own bed, and he won’t be sleeping with Mommy anymore. That means no more baby bedding boys for him. 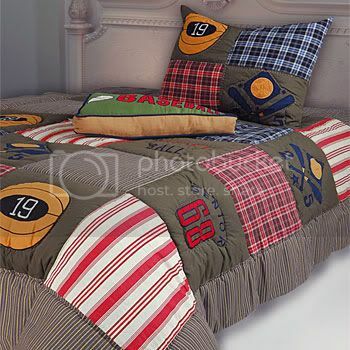 What he needs now is a cool, comfortable, unique, and durable kids’ bedding like this one I found on the Internet. I still call him “baby” sometimes, but he is quick to remind me that he’s now a big boy. Now I call him “anak” (Filipino word for “son”), and he likes that term of endearment better. While my son will soon be ready to do things on his own, this Mommy is not. Whether he’s six, 20 or 50, he will always be my baby. This entry was posted in Bedding, Big School, Kids' Bedding. Bookmark the permalink. One Response to He’s Not a Baby Anymore! They grow up so fast, ‘no?